Or as low as $299.92 per month over 12 months. Apply Now. Alpine X009-GM navigation receiver includes Alpine’s G-KTX-009-GM Restyle System dash kit which allows the aftermarket head unit to fit seamlessly into select Chevrolet and GMC trucks and SUVS. The dash kit is made of specially formed OEM-grade, high-quality, high-strength ABS plastic that has been color-matched to the factory dash. Extra care has been taken to match the factory dash’s shape, texture, and color ensuring a more OEM-like appearance. Unlike traditional universal dash kits, the Alpine Restyle System dash kit includes direct fit OEM-like brackets to ensure sturdy support and accurate positioning of the radio in your vehicle’s dash. 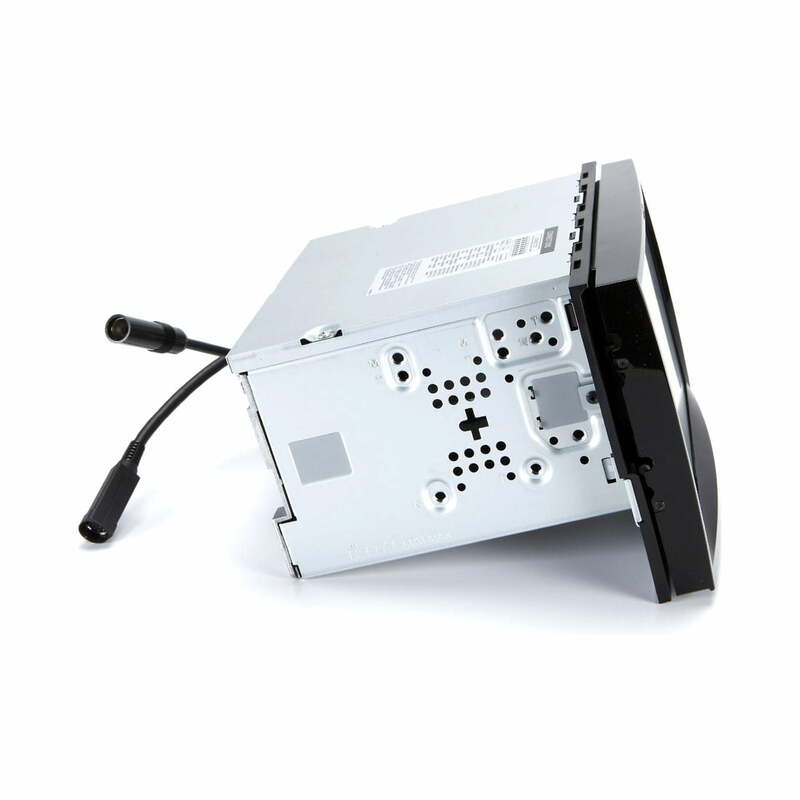 For safety and legal reasons, the X009-GM features a video lock-out feature to prevent the driver from viewing a video source while the vehicle is in motion. To watch a video source, the vehicle must be parked with the ignition in the ACC or ON position. The vehicle’s parking brake must be engaged, disengaged, and engaged again while the foot brake is held in. This also pertains to the receiver’s System, Audio/Video, Navigation, and Bluetooth Setup Menus. Alpine X009-GM navigation receiver also includes the iDataLink Maestro (ALP-MRR) radio replacement interface with radio and vehicle harness. The iDataLink Maestro interface retains the following features when replacing your Chevy/GMC factory radio with the Alpine aftermarket navigation receiver. The iDatalink Maestro also lets you retain your vehicle’s factory steering wheel controls when replacing the Chevy/GMC factory radio with this Alpine aftermarket head unit. You’ll even be able to assign secondary press & hold functions to the buttons of your choice. 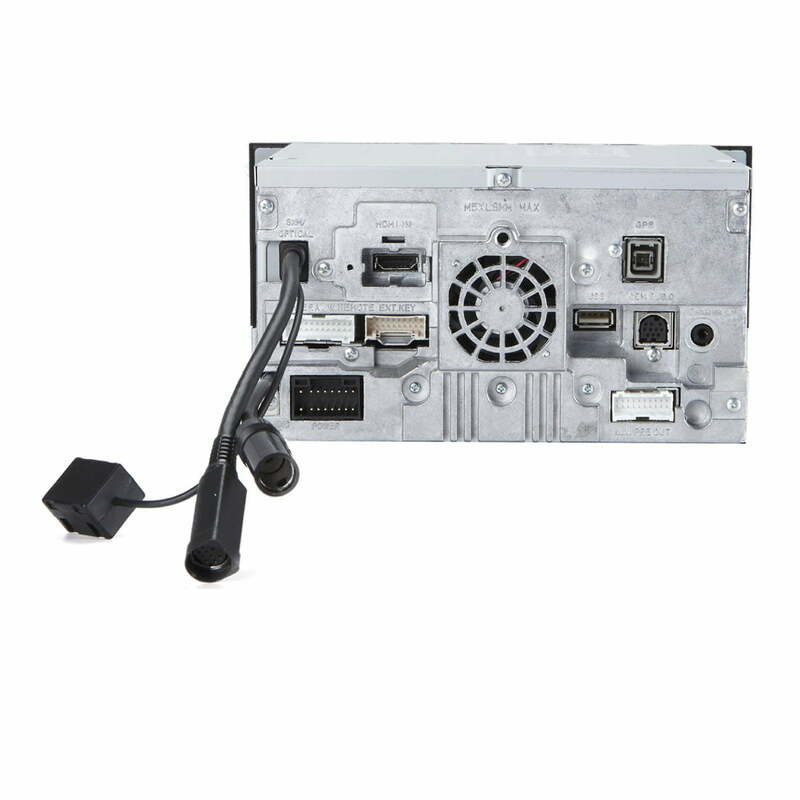 Alpine X009-GM has a 9″ WVGA (1.15 million-pixel) touchscreen LCD monitor (with 16:9 aspect ratio) that serves as a video monitor, information display, and system controller. The X009-GM’s touchscreen monitor provides a more balanced picture, not over-emphasizing dark or light areas, so movies are seen with greater clarity. All of the graphics are crisp and clean for your viewing pleasure. For better visibility you can adjust the monitor’s angle; choose flat or one of five settings angled upward. 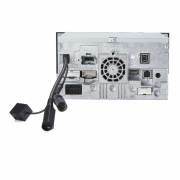 The monitor electronically slides down for loading or ejecting a disc. 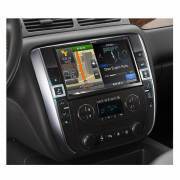 Alpine X009-GM has a start up time of approximately 4.75 seconds from Off to the Navigation or AV source screen. Alpine X009-GM lets you display the Navigation and Audio/Visual screens simultaneously, side-by-side. You can switch the right and left screens using simple drag & drop touchscreen commands. Alpine X009-GM lets you select between a 12 hour or 24 hour clock. The clock is displayed on each source screen and turns off when the head unit is powered down. Once you have launched and accepted navigation mode, the unit’s clock syncs up with the internal navigation system, so it automatically adjusts to your time based on your location.